I have a puppy!! 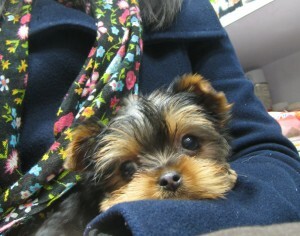 Her name is Baci, as in “kisses” in Italian. As in, Perugina’s Baci hazelnut chocolates. My grandpa has been gifting our family with various forms of chocolates for as long as I can remember, and one of my favorites has always been Baci. 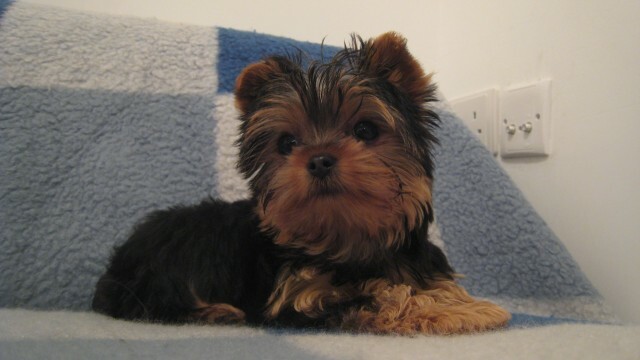 She is a yorkshire terrier, and on the smaller side of the breed. Teacups are not real (at least not healthy ones) and should be 4lbs-7lbs to be categorized as healthy, normal breed. I love her very much :) What a cutesy.